QLD Feed In Tariff Info: What you should know before buying solar. In Queensland, current solar feed-in tariffs in Brisbane, the Gold Coast, and the Sunshine Coast as far north as Noosa are covered by what is known as a Voluntary Retailer Contributions. This means electricity retailers don’t have to pay anything for electricity solar households export to the grid, but in most cases they do. The following are the new and more generous feed in tariff rates in Queensland from July 2017. QLD electricity retailer plans with higher solar feed-in tariff rates won’t necessarily result in lower electricity bills for solar households. While this this article does not look at Queensland retail plans specifically, it does show plans with more generous solar feed-in tariffs aren’t always the cheapest overall. People in rural and remote Queensland receive a fixed feed-in tariff for regional customers that is set at a buyback rate of 9.369 cents for the 2018-2019 financial year. In regional Queensland, it used to be that the largest system you could have installed in order to qualify for feed-in tariffs was 5kW (inverter capacity). However, the limit was increased to 30 kW of total rated inverter capacity in September 2017. To find current solar FiT incentive rates offered by a wide variety of retailers in your part of Queensland, you can enter your postcode into this handy electricity retailer comparison tool. Queensland households and businesses that applied to install rooftop solar power systems before the 10th of July 2012 were eligible for the state’s Solar Bonus – a 44 cent feed-in tariff. Provided nothing is done to lose this high buyback incentive, it is locked in until the 1st of July 2028. In QLD, in order to maintain your high solar feed-in tariff rate, you have to stay where you are. If you move house, sell the home, rent it out, or change the name on the electricity account, you lose that buyback rate. The only exception is it can be transferred between spouses if one moves out of the house. If you close your electricity account, you also lose your high FiT, and the same applies if you are disconnected. If you can’t pay your electricity bills because of financial difficulties, losing your high solar feed in tariff can make paying bills even more difficult. 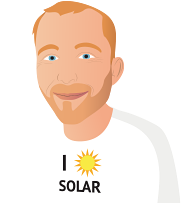 For further rules and information about keeping your high feed in tariff, see this page. The easiest way to find a Queensland electricity retailer offering a good deal on FiT’s is to compare solar feed in tariffs using this tool.